Aaron Vick, Tea Buyer at GS Haly Co., discusses the language of tasting tea. Produced in entirety by Treehaven Productions. Treehaven conceived and edited the Tea Journey Kickstarter campaign video, which helped to successfully launch the third-highest funded periodical in Kickstarter history (US $96K). Interviews shot by multiple sources. Treehaven Productions conceived and created the Tea Journey Magazine brand video opener to introduce all video content for this digital tea magazine. Some images provided by client. A small winery in Forestville California has created a cult following for their fine wines. Owner Rod Borglund shares part of his process of making chardonnays. In collaboration with hi-tech start-up founder of MeInnovator, we conceived the web design and banner video, which was edited by Treehaven from clips and music acquired at http://pond5.com. Owner/Winemaker Rod Borglund discusses Joseph Swan's 2016 Pinot Noir Harvest in Forestville, CA. Produced and edited by Treehaven. Tiny Giant Losses Founder LIndsey Goodwin needed an intro video that would feature the difficult subject of baby loss in an approachable and inspiring way to enlist subscribers to this crowd-funded online resource. Lindsey was coached by Treehaven to shoot and script her video. 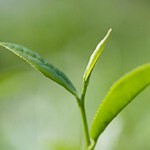 Ecologically grown tea is one step beyond just organically grown tea. 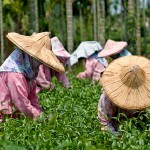 Check out this video featuring tea farmer KC Chen. Visionary guitarist James Kline inspires luthier Alan Perlman to create a new instrument as an attachment for his 11-string guitar. We went to Taiwan to film tea farmers, tea masters and the women who pick connoisseur teas for fine handcrafting. Video, photos and editing by Treehaven Productions for Bon Teavant. 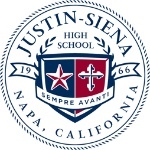 Justin Sienna, a private LaSallian high school in Napa, CA, celebrates their 50th anniversary with a lens on the past and present. This video poem celebrates a piece of calligraphy that was used in a Japanese tea ceremony at the Urasenke Foundation in San Francisco. Some images come from Sowing the Moon Teahouse in Muir Beach, California.